When I went to London last Saturday I popped into one of my all time favourite little shops... Sass and Belle. Sass and Belle is full of lots of lovely little shabby chic-esque home decorative bits and bobs for amazing prices, and my room is full of their products. Sass and Belle had a lovely range of christmassy decorations out and it would have been a bit rude for me to leave without buying a few things now, wouldn't it? I picked up three beautiful decorations that look absolutely lovely in my room. 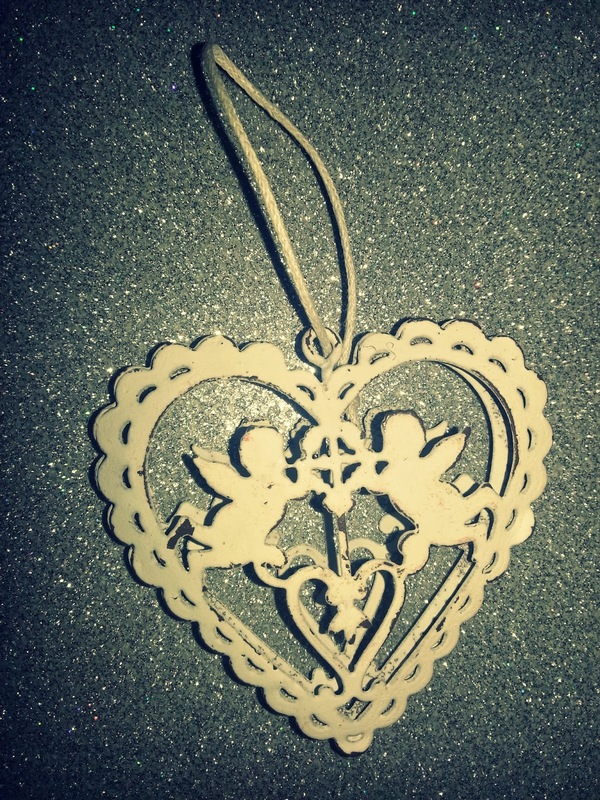 First of all, I picked up this darling little wooden decoration. It was in one of the Sale boxes, so I got it for £1.00 which was an absolute steal. It's a fairly small cream wooden heart with red detailing and a red and white chequered ribbon. I think this is the type of decoration I could keep up all year round because it's not obviously christmassy, which is fantastic because I absolutely love it. 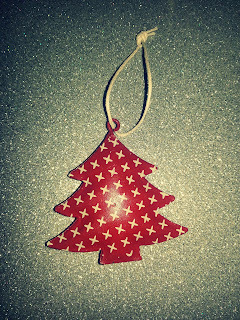 Next, I picked up this cute litte red metal tree shape decoration for £1.99. It's a lovely shabby-chic style decoration that is just so cute, so I couldn't not buy it could I? 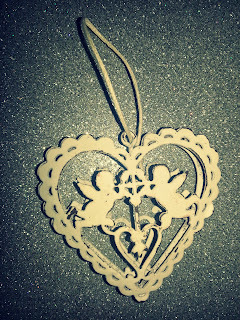 Finally, I found this stunning shabby-chic style metal heart decoration. This is probably the least christmassy of the three decorations I brought, but it's lovely all the same. It was £1.99, which is so cheap when you think how much you'd pay for something similar in the likes of Next or Laura Ashley. 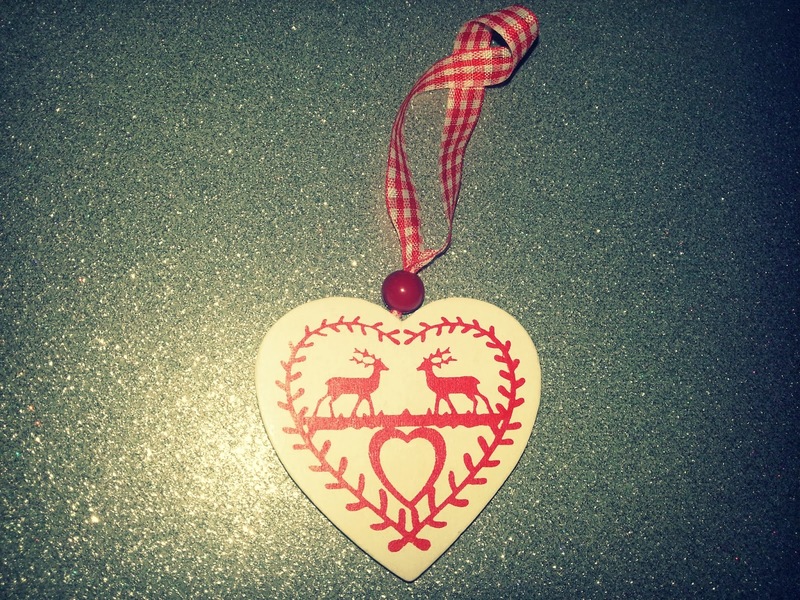 Have you found any places that sell lovely christmassy decorations? 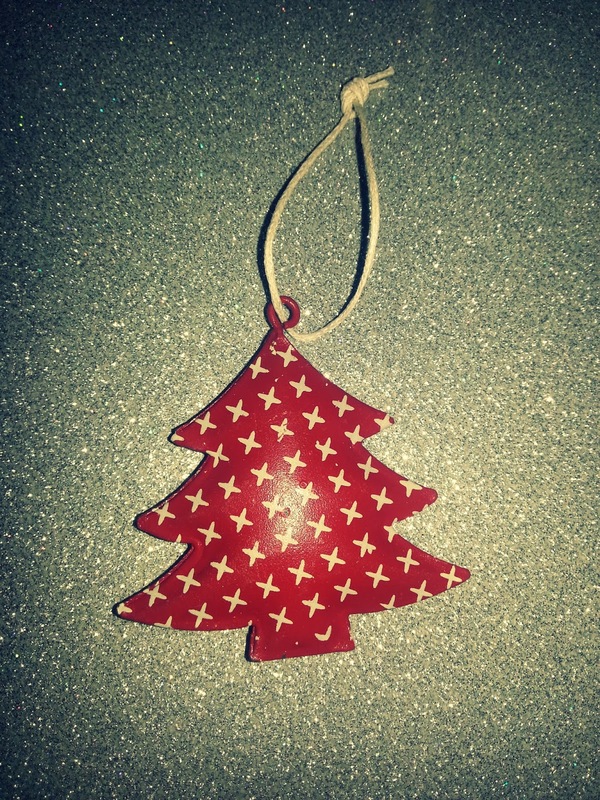 That final metal Christmas decoration is lovely - I love how it's a little different!